With the 2019 Volkswagen Golf SportWagen, there are no compromises, ever. Spacious enough to go on an adventure with the whole family, the SportWagen is also the ideal model for drivers looking for a fun vehicle to drive. Powerful, spacious and downright affordable, the Volkswagen Golf SportWagen has a lot of arguments to convince young families and active buyers. The Volkswagen Golf SportWagen has attracted the attention of a lot of buyers since arriving in our showroom at South Center Volkswagen. For 2019, Volkswagen changes the recipe a little by offering even more equipment and a better, more efficient engines under the hood of the Golf SportWagen. Starting at just $ 24,400 at South Center Volkswagen, the 2019 SportWagen Golf comes standard with LED headlights, 16-inch alloy wheels, heated front seats, and a 6.5-inch touchscreen display with Android Auto and Apple CarPlay. 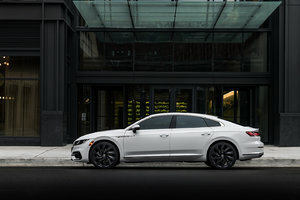 The 2019 Volkswagen Golf SportWagen is also available with an eight-inch touchscreen as well as a number of high-end features such as a panoramic sunroof, keyless start and a premium Fender audio system. Under the hood, the SportWagen Golf's Comfortline and Highline variants are now available as standard with an economical 1.4-liter turbocharged four-cylinder engine. And for those who want more power, a 1.8-liter engine that delivers 168 horsepower is offered as an option. When driving in winter, safety quickly becomes a major issue. At South Center Volkswagen, we are pleased to offer you an all-wheel-drive variant of the 2019 Volkswagen Golf SportWagen. Available as standard with the Execline version, Volkswagen's well-known 4MOTION all-wheel-drive makes the SportWagen an ideal vehicle on the road, no matter the weather conditions. Always with the aim of offering optimum safety on board and more driving pleasure, the Volkswagen Golf SportWagen is also equipped with a unique differential system. 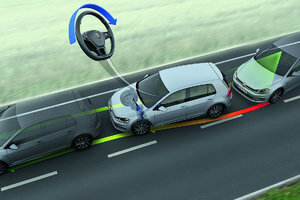 When cornering, this system applies the inner wheel brakes slightly to send more power to the outer wheels of the SportWagen Golf. 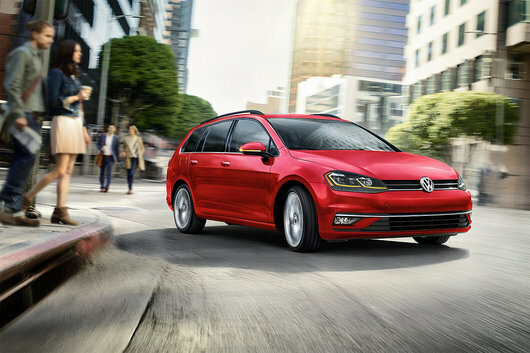 There are plenty of reasons to take a test drive of the 2019 Volkswagen Golf SportWagen. 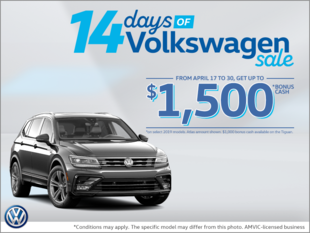 Visit it today at South Center Volkswagen.